Great Care, Delivered. For happy, healthy horses. Whether the equine patients you treat are million-dollar athletes or pets whose value is measured in the love lavished upon them; whether you work in a truck, a breeding barn, a stable, or a gleaming research center, your challenges as an equine-medicine practitioner are the same. When manufactured drugs are not available and you turn to compounded medications, you must know that the people preparing every prescription you write care about your patients, your clients, and your reputation. While quality, reliability, and consistency always have been critical to your choice of a compounding pharmacy, value and service are more important than ever to you and your clients. As the largest animal-health compounding pharmacies in the U.S. serving more than 40,000 prescribers, we have the people, facilities, and commitment you demand for you, your patients, and your clients. If there’s a challenge faced by equine veterinarians, we’ve faced it and developed a solution. Is inventory control critical? More than 90% of orders ship within one business day. Overnight shipping is always available, too. Does cost matter? 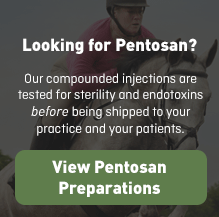 We’ve lowered prices on scores of commonly prescribed equine medications. Is quality critical? You can count on our sophisticated facilities, people, systems, and controls. Every prescription you write is checked several times for accuracy before it ships. Even our Customer Care Specialists must pass a state-approved examination before they pick up the telephone. And, should there be a question about quality, you can trust that we stand behind our work, including maintaining substantial professional and professional liability insurance. Does convenience count? You can order 24/7 at Order.WedgewoodPetRx.com. 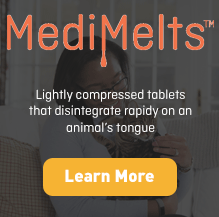 Use our powerful search engine to locate the precise medication, dosage, dosage form, and flavor you need … in just seconds. Order from a list of your most frequently ordered medications. Learn about drug shortages and how we may be of help. Compare from among the many innovative the dosage forms we offer to find the most cost-effective one. After you order, we’ll confirm it by email and provide shipment tracking information. And we'll ship to your office or directly to your client. Do you need in formation … now? You and your clients also can turn to our online learning center for scores of professional monographs. Turn to Wedgewood Pharmacy to help maintain the health of the horses in your care. A the nation's largest animal-health compounding pharmacy, our specialized compounding pharmacists have helped to solve unique medication problems for equine-medicine practitioners since 1981. We have the experience and resources to help you to solve many complex medication-compliance issues. 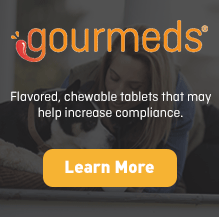 If you do not find the specific compounded medication, dosage form and/or flavor that meets your needs, please telephone our Customer Care Specialists at 800-331-8272. To learn more about caring for horses, you may find these resources to be helpful.